Orbiting our galaxy in the lonely depths of intergalactic space, 160+ globular clusters are among the oldest structures we know. They’re composed of thousands, sometimes hundreds of thousands, of stars, all held together by their mutual gravity. I always think of them as beehives, with the stars buzzing around on orbits all tilted willy-nilly. Honestly, there’s not a lot of science I can add to this that I haven’t written about a bazillion times before (see Related Posts, below). M55 is 17,000 light years away toward the galactic center, which is relatively close as these things go. It’s big, 100 light years across, so from Earth it looks to be roughly 2/3 the size of the Moon. In this unusual picture by VISTA, we’re seeing it in infrared – at 1 micron (colored blue in the picture) and 1.5 microns (colored red), so stars that look red are really much cooler than the Sun. But other than that, it’s just another run-of-the-mill globular. Which is remarkable enough! 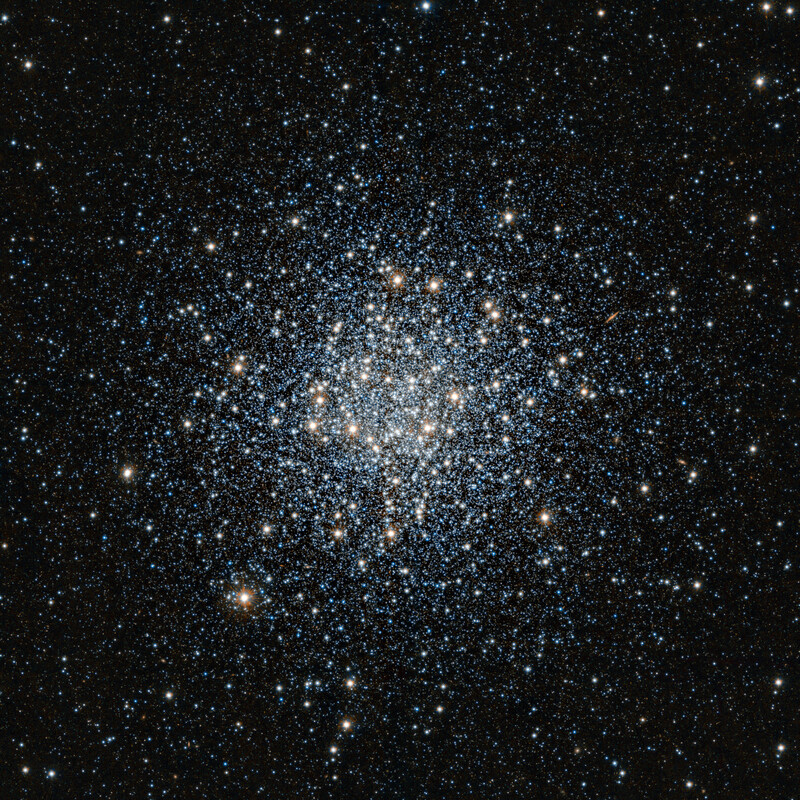 And you know what: despite their clunky name, there’s no such thing as an ugly globular cluster. That’s reason enough to share this lovely picture.